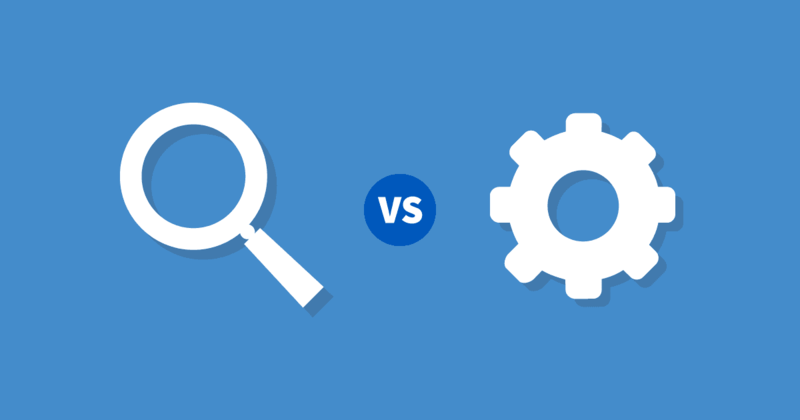 For job satisfaction and salary, who wins software testing vs software development? Is testing a low-paid, low-profile job compared to software development? Let’s review several specifics of both, step-by-step. For both kind of jobs, a degree in areas such as computer science, mathematics or engineering is preferred but not required, if you have proven experience and skills in the selected field. Entry threshold for becoming a software tester is usually lower than that of developer, but this also means there is more competition for the entry-level testing jobs. One of the important factors to take into account when choosing your profession is the mindset best suited for each. You should choose whichever is closer to the way your mind works so you can to realize your potential as much as possible. The Tester’s mindset supposes a critical view with the intention of ‘breaking’ the object under test to find defects in it, then knowing how to be diplomatic in giving feedback. The Developer’s mindset is focused on how to build things and make them work. Such a mindset can be described as constructive rather than critical. It’s commonly believed that the job of a software tester or a QA engineer is non-technical but that’s not absolutely true. Depending on the specifics of the projects and accepted standards of the company, this position may require more or less of technical background, knowledge and skills. Turning now to Software Development, it’s generally more technical, as you won’t be able to get by without programming skills in this field. The same as with software testing, the necessity of constant learning and improving your skills works here, too. And just like testers who sometimes wear a developer’s hat in a cross-functional team, developer can carry the role of a tester if the situation demands. Developers can conduct testing not only in the form of unit testing, but as part of TDD, BDD, XP, or even take on most testing activities when testing is the cause of a bottleneck. So, in an agile environment, distinctions between software development and testing are often blurred, and become a matter of emphasis. It is possible to begin your career in software testing without deep technical knowledge and skills, but not developing them further can significantly narrow the range of opportunities for your professional growth. Software Testing remains a field where constant learning is essential for a successful career. The argument for software testing and development being seen as comparable fields, is the cases of switching career from development to testing. But to be objective, such cases are less frequent than the other way. Another common myth is that jobs in software development are better paid than in software testing, but in reality this depends on a number of factors. The recruitment company Glassdoor’s statistics shows that QA and testing salaries are somewhat lower than developers on average, but there are cases when QA gets a higher salary than a developer with comparable experience in their field. Career prospects for developers and software testers include opportunities for both horizontal and vertical growth. For developers, possible options for a career path are: Developer, Software Engineer in Test, Dev Lead, PM, Architect; or shift to Business Analysis, Sales, Testing, DevOps, etc. While career options for testers can be: Functional Tester, Automation Tester, Test Analyst, Agile Tester, Software Engineer in Test, Test Lead, QA/Test Manager, PM; or shift to Development, Sales, Business Analysis, Technical Writing, Support Engineer, etc. In each field, you’ll find a choice of technologies to learn, and niche skills to focus on so you can eventually become an expert in one of them. If you don’t feel like growing towards management, you can always choose to become a technical expert or consultant instead. In addition, both kinds of specialists can follow the current trend and recourse to a remote or freelance job. Both fields are actively expanding, bringing new opportunities for personal development. In software development, technologies become outdated and the new ones take their place. In testing, emerging trends indicate that developments in the testing process are transforming the software tester’s entire role. As we have seen with both specialisms, if you are open-minded and eager to progress, opportunities for growth are almost unlimited. If you are at the starting point of your career path, select what is more natural and exciting to you, and be ready for the new challenges to pour in.